Dr. Ron Blakey at Northern Arizona University offers a series of global views illustrating how the Earth may have looked during the past 600 million years. The globes are colored to demonstrate the climate and vegetation for locations at a given time. Students and educators can inspect the images in four different views: global time slices in mollewide projection, global time slices at high resolution, global time slices at low resolution, and global time slices in rectangular format. 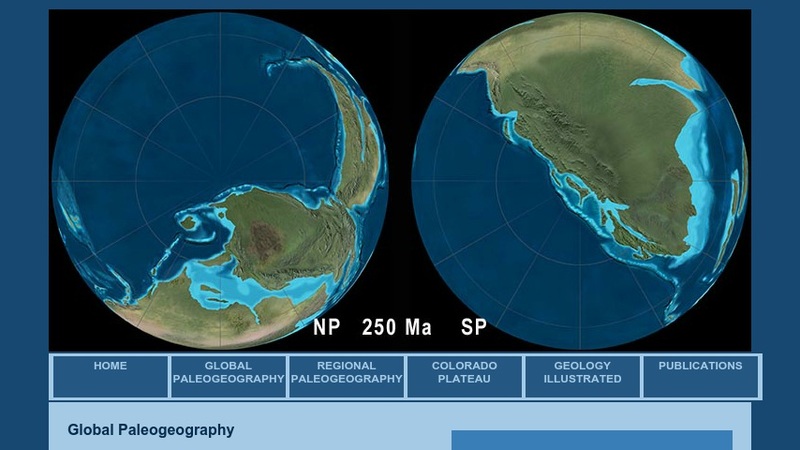 This website offers a great way for individuals to observe how many scientists hypothesize the landforms of the Earth evolved from the Late Precambrian to the present.